Trousers and Shoes by Y-3 Adidas, Top by Hed Mayner. Left: Jacket by Y-3 Adidas, Scarf by Charlotte Bisi and Shoes by Adieu. Right: Trousers Vintage, Coat by Edition Mr, Shoes by Adieu and Backpack by Y-3 Adidas. Short by Yves Saint Laurent vintage, Top by Sankuanz, Shoes by Adieu and Hat by New Era. Left: Jumpsuit by Ambush, Scarf by Charlotte Bisi, Shoes by Adieu and Backpack by Y3-Adidas. Right: Trousers by Sankuanz, Top and Jacket by Hed Mayner. Whether it questions social inequalities, environmental excesses, or political standpoints, fashion makes sure to state its activists stances loud enough: they are written in large letters on ready to wear garments, slogan T-shirts are every brand´s bestseller, animal fur is banned, new materials are replaced with second-hand ones, and upcycling seems to be the latest, and probably, a long-lasting trend. But activism in fashion goes further into vigorous action in support or opposition to controversial issues. It holds up a mirror to society, questions consumption patterns and habits, and considers climate change, resource limitations, or regional inequalities without aesthetic compromise. 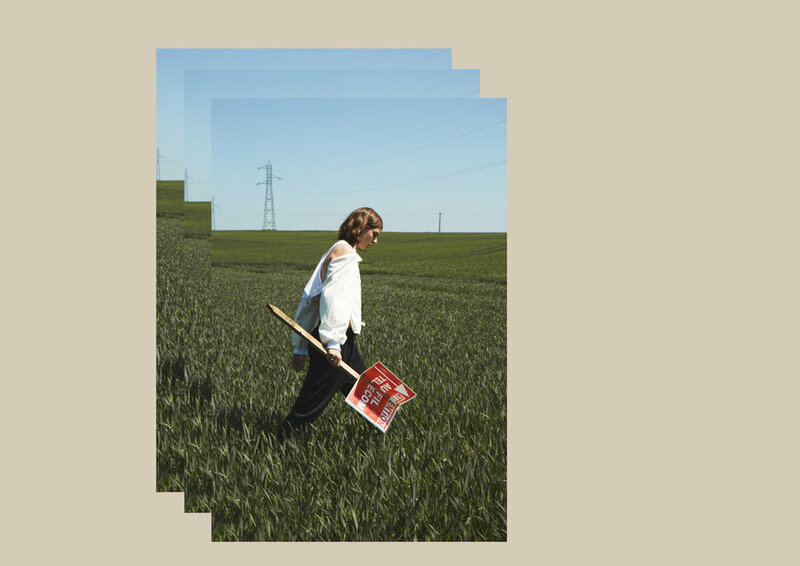 Led by photographer Marie-Elodie Fallourd and stylists Marie Matéi and Benoit Tardif, this story investigates the meeting point of ethics and aesthetics looking at fashion as activism.